A mare motel satisfies many needs that a horse has. Horses generally feel uncomfortable in enclosed barns. Our horse shelter kits have been used by ranchers, racers, and horse breeders all across the Southwestern U.S. for over 10 years. Continuous Slope model ready for portable panels.These horse shelters are made from the same US steel that we use in our building and carport kits. They withstand the elements well and will last for years. We believe these structures give you a better value than a horse barn and from our experience, your horse will like this better than a conventional horse barn. We call our horse shelters the mare motel. The mare motel horse shelters are open air shelters with which the horse can see his surroundings, but still remain in shade and out of the direct elements. Since 1999, Absolute Steel has been manufacturing and selling a wide range of steel frame buildings, including barndominiums. Our staff can help you design and build the structure you want.  That’s because we are NOT simply a seller of barndominiums, we MANUFACTURE them right here in our Texas facility and use only high quality U.S. Steel. Your frame system and exterior paneling are ENGINEERED EASY to install, and will hold up to the toughest elements for years to come. All frames and exterior panels come with ROCK SOLID WARRANTIES too. Your horse will appreciate it. We have four styles of mare motel horse shelters to choose from. A shed row mare motel is a single sloped structure with no center aisle. A shed row is a wise choice if space is limited and you can still get shelter by easily converting one stall into a feed and/or tack room. The continuous slope with aisle is probably the most popular mare motel out there, provided land space is not an issue. No single structure completes the equestrian look like the Raised Aisle open air barn. You can obtain different heights with the raised center aisle, and you even have the flexibility to store your RV or horse trailer in the center. 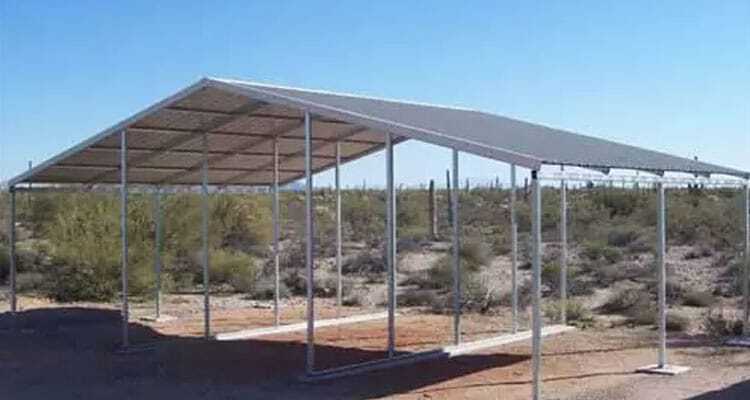 If you’re not real tall when you’re standing on your wallet or if you’re otherwise working with a tight budget, our basic livestock shelters may be the best option for you. 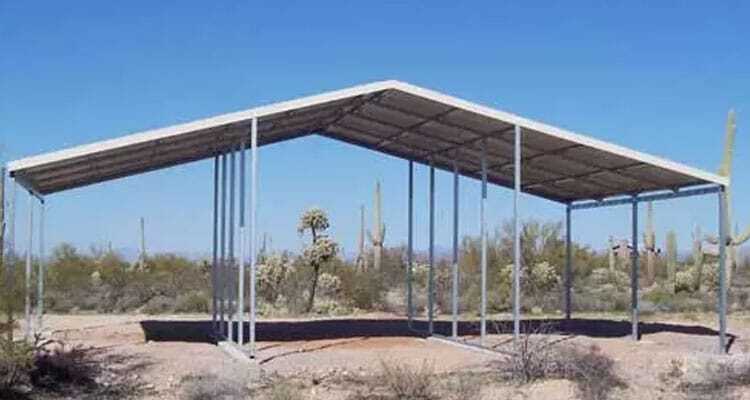 An Absolute Steel livestock shelter is the most economical structure available for sheltering your horse from the elements. This is only necessary if you are requesting a quote. The zip code is required so that we can better figure out shipping costs.